The London Palladium presents The Greatest Love Of All - a critically acclaimed live concert on May 19th 2019 that honours the immense talent, music and the memory of the late, great Whitney Houston. The show will feature the breathtaking vocals of Belinda Davids who is accompanied by the National Philharmonic Concert Orchestra in what is sure to be a beautifully crafted homage to one of the most revered and talented singers the world has ever seen. This two-hour show will fill you with nostalgia, joy and wonderment as you are guided onto a heartfelt musical journey through the extensive back catalogue of Whitney Houston’s greatest hits including 'I Will Always Love You', 'I Wanna Dance With Somebody', 'One Moment in Time', 'Didn’t We Almost Have It All', 'How Will I Know', Greatest Love of All, 'I’m Every Woman', and many more! Take the Victoria or Central line to Oxford Circus station and exit onto Argyll street. The theatre is a 2 minute walk. The London Palladium is a 2,286 seat west end theatre situated off Oxford Street in the City of Westminster. From the roster of stars who have played there over the years and many televised performances, it is arguably the most famous theatre in London and the UK, especially for musical variety shows. the London Palladium was built by Walter Gibbons in 1910 to compete with The London hippodrome and the London Colliseum. The facade (originally that of Argyll, which is why the pub opposite is called The Argyll Arms) dates back to the 19th century. Formerly it was a temporary wooden building called Corinthian Bazaar, which featured an aviary and aimed to attract customers from the recently closed Pantheon Bazaar (which is now the Marks and Spencer's on Oxford Street. The Palladium was rebuilt a year later by Fredrick Hengler, the son of a tightrope walker, as a circus venue that included an aquatic display in a flooded ring. After that it became the National Skating Palace, a skating rink with real ice. However the rink failed and the Palladium was redesigned by Frank Matcham, a famous theatrical architect who also designed the Colliseum., for a site that previously housed Hengler's Circus. The building now carries Heritage Foundation commemorative plaques honouring Lew Grade and Frankie Vaughn. The theatre started out as The Palladium, a premier venue for variety performances. In 1926, the pantomime starred Lennie Dean as Cinderella, footage of which remains to this day. It is especially linked to the Royal Variety Performances, where many were, and still are, held. From 1928 it was managed by George Black and was even a cinema for three months. During the 1930s it became the regular home for The Crazy Gang. The ‘London' part of the theatres name was added in 1934. Black controlled the large Moss Empires group of theatres. Val Parnell took over as Managing Director of the London Palladium in 1945. He adopted a controversial, but very successful, policy of presenting high-priced big-name American acts at the top of the bill. Among many, the list included Judy Garland, Bing Crosby, Danny Kaye, Bob Hope and Frank Sinatra freezing out British stars of the day, who were relegated to second-billing. From 1955-67 the theatre was the setting for the top-rated TV variety show Sunday Night At The London Palladium hosted first by Tommy trinder and then by Bruce Forsyth.. The programme was broadcast live every week by ATV, which was owned by the famous theatrical impresario Lew Grade Production was by Val Parnell. Six programmes aired as special episodes in the USA between May through August 1966 on NBC. Val Parnell became associated with a property development company and began to sell Moss Empires' theatres for redevelopment. When it became known in 1966 that this fate awaited not only the London Palladium, but also The Victoria Palace and the Theatre Royal Drury Lane, Prince Littler organised a take-over to save the theatres and Val Parnell retired to live in France. The new Managing Director of Stoll-Moss was Louis Benjamin, who took on the role while continuing as MD of Pye Records within the ATV Group. In 1968 Sammy Davis Jr starred in Golden Boy, the first book musical to be produced in the venue. In 1970, the Palladium attempted to get Elvis Presley to perform 14 shows over a period of 7 days. When Tom Parker, Presley's manager, heard that the theatre was offering Presley 28,000 dollars, he reportedly said "That's fine for me, now how much can you get for Elvis?" Had Presley performed, it would have been his first and only overseas performance. In January 1973, glam rock band Slade played a gig in the theatre which resulted in the venue's balcony nearly collapsing. In 1976 Marvin Gaye recorded a live concert at the venue. The performance documented on the resulting double LP, entitled Live At The London Palladium and released in 1977, is considered one of Gaye's finest live recordings. In the late 1980s the Palladium was once again the setting for the popular TV variety show Live From The London Palladium, compered by Jimmy Tarbuck. During this time, the theatre was under the ownership of the Stoll Moss Theatre Group, and the management of both Margaret and David Locke, who both were major shareholders of Stoll Moss at the time. In 2000, ownership of the theatre changed once again when it was bought by Andrew Lloyd-Webber's Really Useful Group. From 3 May 2000 to 5 January 2002, the Palladium played The King And I starring Jason Scott Lee and Elaine Paige. This production was a west end transfer of the hugely successful 1996 Broadway production. Before the opening, the box office had already taken in excess of £7 million in ticket sales. The London version of the show was a lavish affair, with new dialogue and music added, while the original material was updated. After the production closed, the famous (but outdated) revolving stage was removed to make way for more modern technology. From April 2002 to 4 September 2005, the London Palladium played host to a theatrical version of Chitty Chitty Bang Bang with a musical score by the Sherman Brothers as a successor to The King And I.. 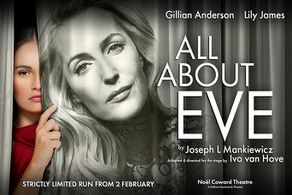 Throughout its three and a half year run at the venue, the production starred many celebrities (see below). This show proved to be the most successful stage show to date, in the theatre's long history and reunited, 50 years later, the show's choreographer Gillian Lynne with the theatre in which she appeared as the Palladium's Star Dancer during the early 50s. For Christmas 2005-06, the venue staged Bill Kenwright's production of Scrooge- The Musical starring Tommy Steele and other recent shows to have been staged there are Sinatra, The Sound Of Music, Sister Act-The musical and its current production, the Andrew Lloyd-Webber version of The Wizard Of Oz..
On 20th May 2007 the London Palladium was also the setting for the 2007 BAFTA awards, which were broadcast on BBC, and in 2010 the BAFTA Television Awards returned to the London Palladium. Whilst the Theatre has a resident show, it is still able to have one off shows; this is enabled by the scenery of the resident show being designed to be easily removed. For example the set of Sister Act was able to be completely above the stage out of view in an area called the flyloft. The London Palladium turned 100 years old on 26th December 2010, and a one-hour television special entitled '100 Years of the Palladium' aired on BBC 2 on December 31, 2010.